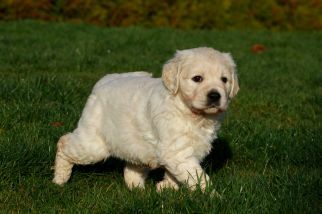 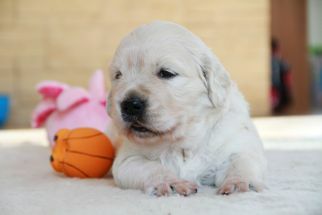 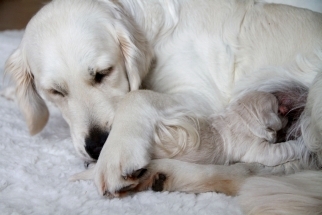 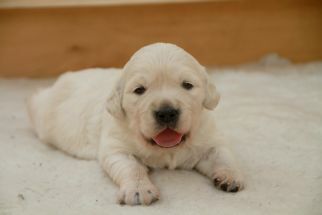 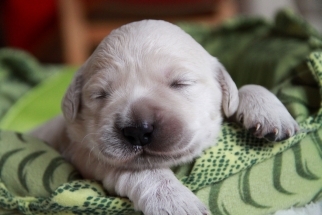 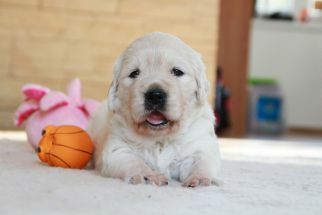 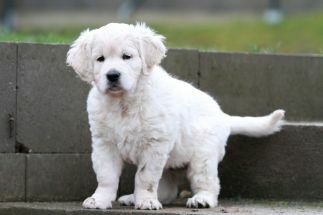 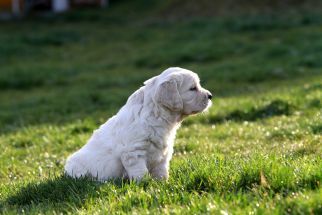 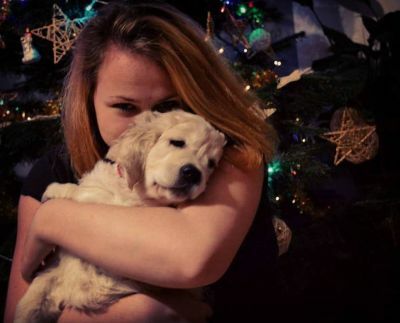 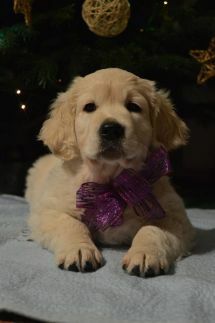 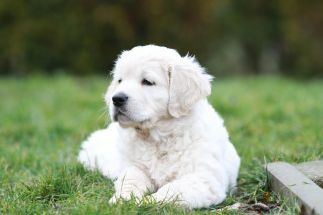 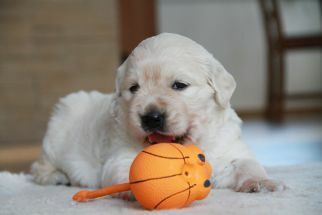 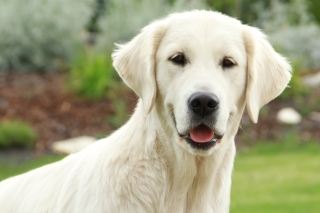 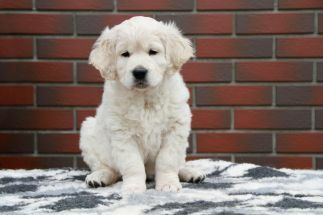 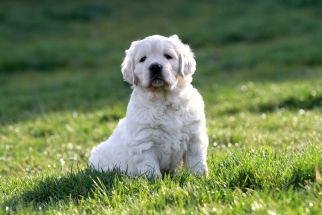 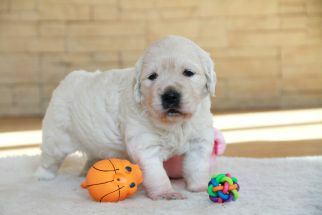 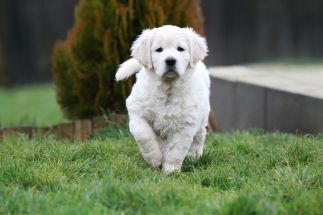 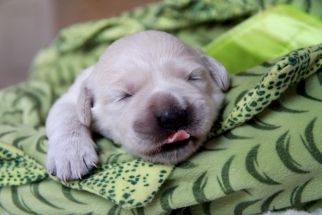 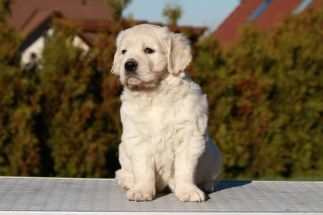 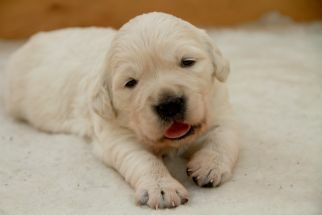 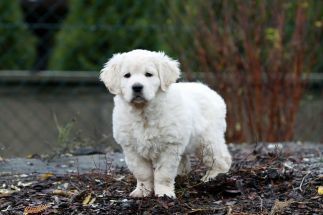 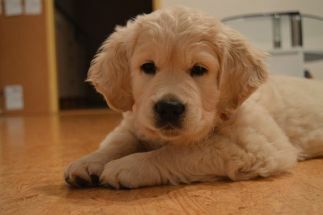 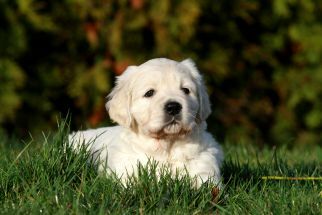 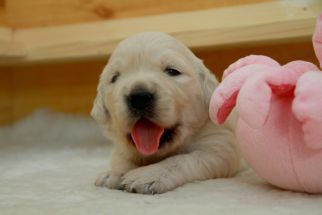 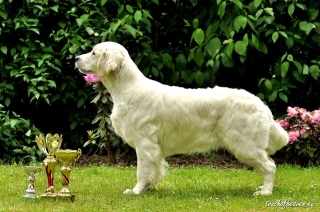 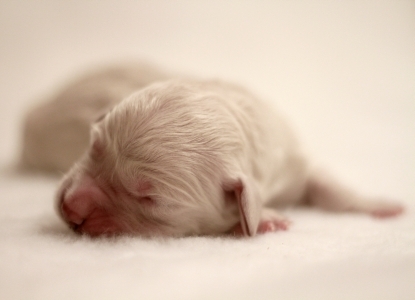 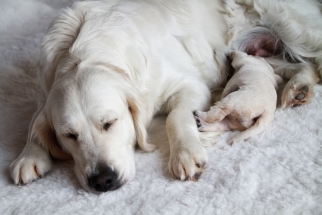 Dorado Blanco :: Golden retriever kennel - Litter "E"
It is time to say goodby. 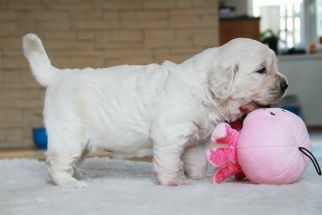 Although I was not able to hold my tears, I am happy to give Melody to her new home. 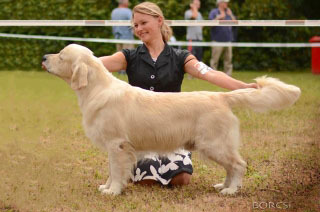 Her new owner Lucka is wonderful girl and I am sure Melody will be absolutely happy there!!! 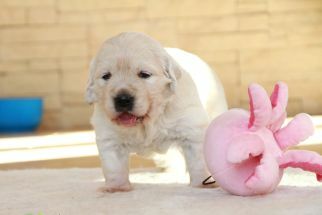 I love her sooo much!!!!! 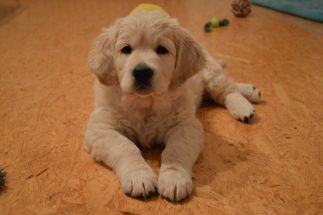 Finaly I found a time to make some photos of our little princess :-) She is very sweet. 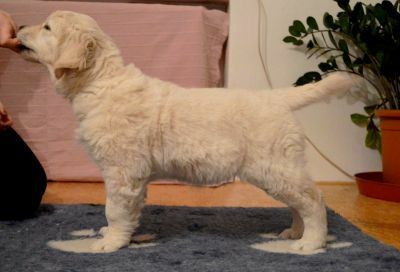 It was not Easy to find a name for this special only girl. 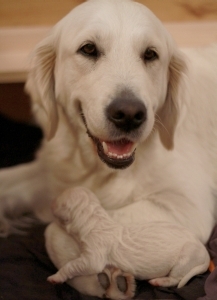 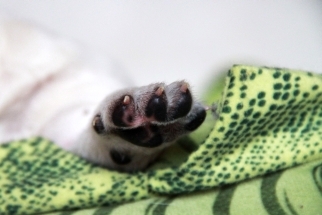 Her birth was very complicated and the fact she is here is only due to great work of vet. 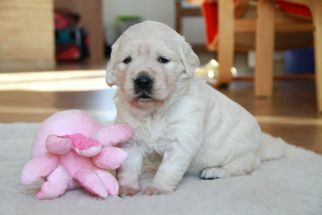 After hard and complicated birth we have one wonderful girl born by c-section. 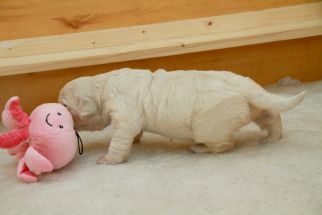 Her weight is 480g. 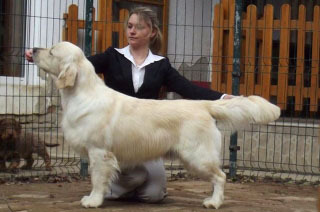 I believe Zarja will be in in good condition soon and she will take her girl with love!